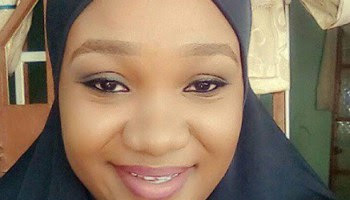 The police in Borno on Thursday confirmed the arrest of one Musa Faisal in connection with alleged acid attack on his 26-year old girlfriend, Fatima Usman. Fatima Usman, a final year student of Department of Nursing, University of Maiduguri was attacked with corrosive fluid by suspected tricycle operators in Maiduguri on March 16. She sustained serious injuries on the face and other parts of her body as a result of the attack. The Commissioner of Police in the state, Mr. Damian Chukwu, made the disclosure while briefing newsmen in Maiduguri. The attack generated public outcry with women groups calling for proactive measures to protect women from abuse and regulate activities of tricycle operators in the metropolis. Chukwu disclosed that the suspect, Musa Faisal, was arrested by men of the Special Anti-Robbery Squad in Kano. He explained that the police had also arrested one Muhammad Babangida, who conspired with Faisal and attacked the girl. The commissioner said a preliminary investigation indicated that the suspects conspired and assaulted the girl, contrary to the notion that she was attacked by tricycle operators. The police boss also revealed that the suspect and the victim dated for over four years and Fatima Usman’s parents rejected the marriage proposal by Faisal. He added that “our findings indicated that the girl and the suspect had been meeting in secret for a long period of time. “On the day of the attack, she arranged to meet the suspect at a hotel in Galadima area of Maiduguri and while they were inside a room, his accomplice, Muhammad Babangida joined them. “Babangida was the one who poured acid on Usman and in the process, some of the liquid spilled over to Faisal.